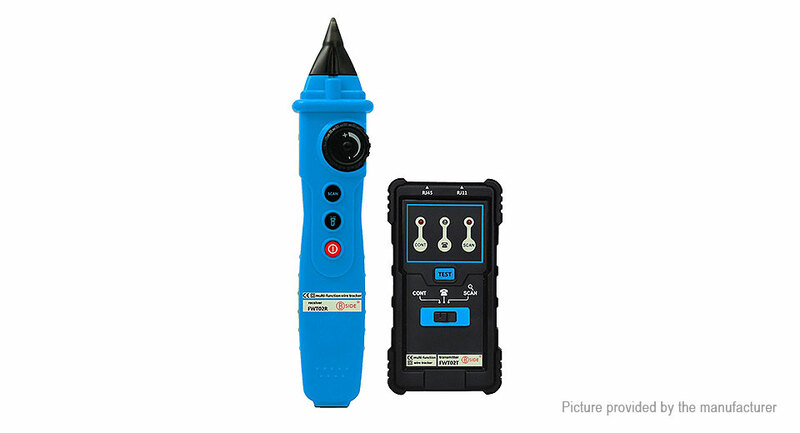 This set of tools are available for installation, and inspection of cable line maintenance, and for telephone lines, various state can determine the phone line at work, more convenient for telephone line installation, debugging and maintenance. Judge whether the continuous line cable. Receiving the cable (telephone line) lines of the audio signal. The telephone line to evaluate the work of the state (idle, playing, off the hook). Transmit audio cable signal line to the target. The transmitter pull button switch to the TOM position, TOM indicator lights. The accessories belt clip inserted into the RJ11 jack of the transmitter, the red clip on the target of the cable; or the end of the RJ45 jack RJ45 cable connector connector is inserted into the transmitter, the other end is inserted into a jack on the target. Then with the receiving antenna receiver cable to near the target, receiver test button receives the audio signal. at the same time can be adjusted by the volume button toadjust receiving volume size. then you can judge the trend of continuous and cable. The transmitter pull button switch on the phone line function position (middle position). The RJ11 jack RJ11 jack final crystal head is inserted into the transmitter, the clip to a telephone line to be measured. If the phone line status indicator light (in the middle position of the push button switch) bright red, red end clip is a TIP of the line, the final black clip to the RING line; if bright green, red end clip as RING line, ROW line for black final clip. The crystal head RJ11 RJ11 socket final attachment is inserted into the transmitter, the red clip to the line RING, the black clip to TIP the line. If the telephone line status indicator light (in the middle position of pulling the switch button) bright green, said the telephone line is idle; if not bright said telephone line is off the hook state; if the bright green or red at the same time a regular state flash said the phone lines on the ringing.